This level is much hard and you need good strategy with luck. 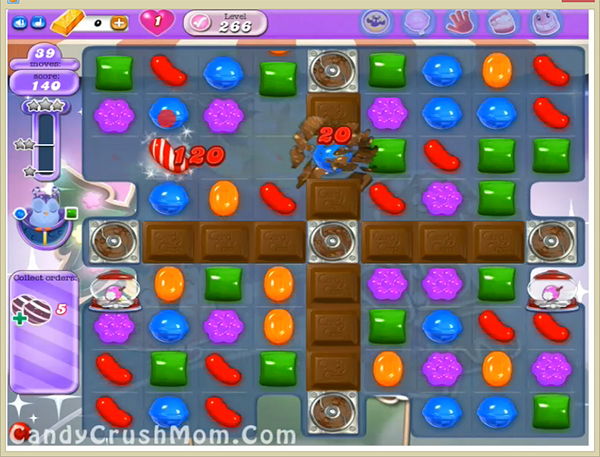 For This level you should try to play near to chocolates so they wont increase then try to make striped candy any where you get chance. After wait for moon struck and then make striped candy combos with balancing the Odus owl or make striped candy any time if you can balance the Odus owl. We completed this level with 185200 score using same strategy that we share above and completed this level with three star score.